Facebook "intentionally and knowingly" violated data and anti-competition laws, senior UK MPs have warned in a highly critical report on fake news and disinformation. The Digital, Culture, Media and Sport Committee called for tech companies to be bound by a compulsory code of ethics and overseen by an independent regulatory with power to launch legal action in case of breaches. The committee also found that electoral law is "not fit for purpose" and that the government must reform rules on overseas involvement in UK elections. The final Report on Disinformation and Fake News repeats a number of recommendations the committee made in an interim report last summer, including making tech companies legally liable for taking action against harmful content on their platforms. The committee recommends "hefty fines" if illegal content is found on Facebook or Google, both of which have relied on user-generated content that is published without prior moderation. Facebook comes under particular criticism for charging high prices in advertising for the exchange of data to some developers such as Six4Three. The committee considered documents from Six4Three’s lawsuit against Facebook that were seized by a UK parliamentary official in November. MPs concluded: "It is evident that Facebook intentionally and knowingly violated both data privacy and anti-competition laws." Six4Three, producer of the Pikinis app that allowed people to search for pictures of their Facebook friends in bikinis, claims that Facebook deliberately enabled an app developer to harvest data for Cambridge Analytica without the consent or knowledge of users. Cambridge Analytica's misuse of Facebook user data for political campaigns was uncovered in April through Christopher Wylie, who came forward to The Observer. The report is also calling for the Information Commissioner’s Office to carry out a detailed investigation into the practices of the Facebook platform, its use of users' and users' friends' data, and the use of "reciprocity" of the sharing of data. 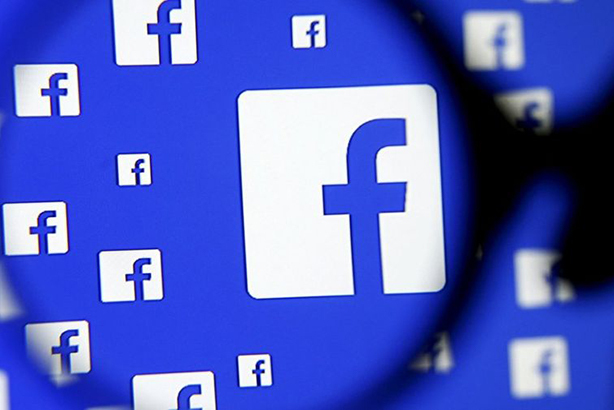 The Competition & Markets Authority should also conduct a comprehensive audit of the advertising market on social media and investigate whether Facebook has been involved in anti-competitive practices, the report says. The MPs took aim at Facebook founder Mark Zuckerberg personally, complaining that he had "shown contempt" by not appearing to give evidence before the committee despite repeated requests. A Facebook spokesman said: "We share the committee's concerns about false news and election integrity and are pleased to have made a significant contribution to their investigation over the past 18 months, answering more than 700 questions and with four of our most senior executives giving evidence. Today’s report comes less than a week after a government report by Dame Frances Cairncross called for the online ad market to be investigated by the CMA, as well as new codes of conduct to safeguard the future of the press. Facebook and Google accounted for more than half (54%) of UK online ad revenues in 2017. Damian Collins, chair of the DCMS committee, said: "Democracy is at risk from the malicious and relentless targeting of citizens with disinformation and personalised ‘dark adverts’ from unidentifiable sources, delivered through the major social media platforms we use every day. Much of this is directed from agencies working in foreign countries, including Russia. "Companies like Facebook exercise massive market power, which enables them to make money by bullying the smaller technology companies and developers who rely on this platform to reach their customers. "These are issues that the major tech companies are well aware of, yet continually fail to address. The guiding principle of the ‘move fast and break things’ culture often seems to be that it is better to apologise than ask permission." Yesterday, it was revealed that Facebook and YouTube are being used by illegal animal bloodsports gamblers to share graphic videos of cockfighting and hare coursing. Some of the content has been removed following an investigation by BBC’s Countryfile. Failure to communicate: What disrupts the disruptors?